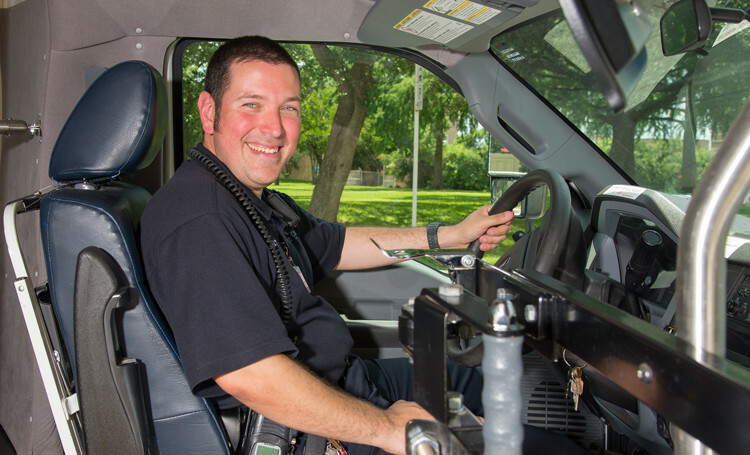 The university police department provides a shuttle service to all UT Health San Antonio personnel who have purchased a permit. The shuttle service is in operation from 6:00 a.m. to 6:00 p.m. on normal university business days. Our shuttle service has a normal schedule and a holiday schedule. Please download copies of both schedules to ensure you have the schedule that corresponds with your schedule. The shuttle provides service to various locations on the main campus and two trips a day to the Texas Research Park. Normal day to day use is free for individuals possessing a valid UT Health San Antonio ID. If you would like to reserve a bus for a special event, please email your inquiry to parking@uthscsa.edu for information and pricing. What are the shuttle bus hours? Shuttle service is available from 6:00 a.m. to 6:00 p.m. Monday – Friday (excluding holidays). Current schedules are posted at all covered bus stops, online, and hard copies are available in the parking service office, police department building, the guard station at Allied Health, the McDermott Building, and the CTRC. Bus drivers also have them available and can be downloaded online: normal schedule and a holiday schedule. Do the bus drivers have special licenses? Our shuttle bus operators all have Texas Class B Commercial Driver Licenses. What does it cost to ride the bus? Shuttle bus service is free when you present your UT Health San Antonio ID to the driver.